Denim Blitz are back and stocked with great designer jeans, tops and coats! 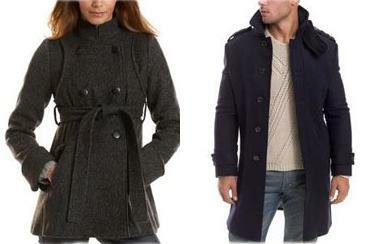 You'll find loads of winter clothing for both men and women all at 30% to 90% below retail! You will find: SEVEN FOR ALL MANKIND, CITIZENS OF HUMANITY, TRUE RELIGION, 575, ANTIK, WILLIAM RAST, YANUK, JUICY COUTURE, PAPER DENIM & CLOTH, HABITUAL, HUDSON, PEOPLE'S LIBERATION, TAVERNITI, DIESEL, EARNEST SEWN, JOIE, TRUE MEANING, PUKA, 2 B REAL, GRAIL, FRANKIE B, KENETH KOLE, TOP ITALIAN DESISNGERS, plus many more that cannot be named! On sale will be new designer winter jackets, stylish eggins, jeans - in both the skinny, straight leg, and bootcut styles, tee's, hoodies, great Italian winter dresses, designer sweaters, cashmere scarfs, as well as many more great fashions you won't be able to pass up for a treat to yourself or for that perfectl holiday gift.